As part of the proposed rate increase and restructuring this year, the ordinance pertaining to the proposal will be introduced at the City Council meeting on February 20. The ordinance is on the consent calendar, meaning that no presentation will be given. Time will be available for public comments for items on the consent calendar. The public review and comment period is open until March 5. At its March 5 meeting, the City Council will conduct a Public Hearing to vote on the proposed rate increases and restructuring. There will be an opportunity for public comments. Additionally, the meeting is the last opportunity to submit written protests. During the March 5 hearing, the City Council will hear all public testimony and consider all written protests. At the end of the hearing, the City Council will decide whether to adopt the proposed sewer rates. Oral comments at the hearing will not qualify as formal protests unless accompanied by a written protest, but the City welcomes your input. If, at the end of the hearing, written protests against the proposed increases to the sewer rates are not presented by a majority of affected property owners of the identified parcels, the City Council will be authorized to adopt the rates. For more information about the proposed rate increases and restructuring, and why they are needed, please visit our website, CleanWaterProgramSanMateo.org. For questions, call (650) 727-6870 or email info@CleanWaterProgramSanMateo.org. 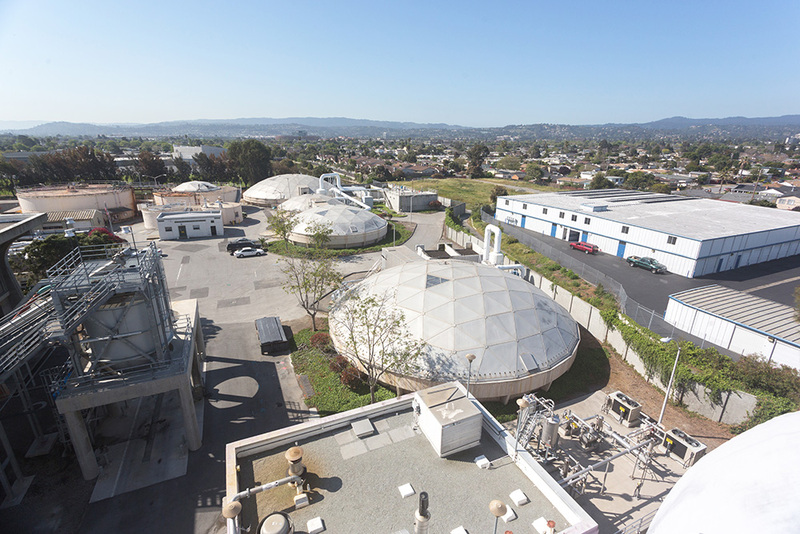 The City of San Mateo is designing a wastewater treatment plant (WWTP) upgrade. To refine the design, the City needed to drive a small number of test piles to obtain data about construction site conditions. The tests are being conducted near the intersection of 3rd Ave and Detroit Drive, at the parcel north of the existing WWTP. This work is part of a multi-year program to upgrade the WWTP to improve service and comply with regulatory requirements to protect the environment and public health. The testing is scheduled to be complete by late February. We thank you for your patience and understanding about this work. It will provide valuable information as we move forward with the WWTP upgrade project that is vital to providing safe, effective wastewater treatment for our community. San Mateo is planning major improvements to the sewer collection system and the Wastewater Treatment Plant (WWTP) to prevent sewer overflows and unauthorized discharges of untreated or partially treated wastewater. The WWTP upgrade and expansion project includes construction of new treatment facilities including primary clarifiers, headworks, and secondary treatment facilities. Due to the complexity of the project, the high volume of construction work expected in the Bay Area, and to ensure collaboration and partnership among all parties during construction, in May 2016 the City Council endorsed the use of a Construction Manager at Risk (CMAR) delivery approach. Sundt Construction, Inc. was selected as the CMAR and awarded a pre-construction services contract in January 2017. These services include items such as cost estimating, constructability reviews, value engineering recommendations, construction scheduling, and development of the Guaranteed Maximum Price for construction. At the study session, the Clean Water Program staff will provide an update on the status of the CMAR contract and progress toward the WWTP upgrade and expansion project. Monday, March 5, 5:30 - 6:30 p.m. 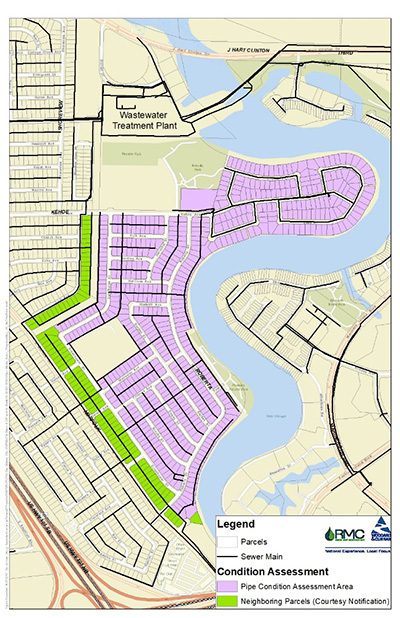 This month, the Clean Water Program began work on condition assessments of the sewer system in the Marina Lagoon and the southern portion of the Shoreview Parkside neighborhoods (see map). The work includes a variety of inspections and tests to determine how best to fix aging or damaged lines. The work includes CCTV inspections of sewer mains and laterals, mapping of sewer laterals, and non-toxic smoke testing to find breaks and defects in sewer lines. For some of these assessments, the City has obtained permission from property owners to enter the front and back yards. We are grateful for the many homeowners who agreed to participate in this important testing work because it will help with planning repairs and upgrades city-wide.